It won’t take long for you to figure out that Jason Wilson is excited about beer. Just ask him about his in-line carbonator that saves him three days of carbonation for every batch he brews. Or the upcoming $675,000 full expansion project to the brewery includes the purchase of the current facility, adjacent building and property, doubling their fermentation capacity with specifically made tanks to fit his low ceilings. Or the new, bio-degradable, stackable six pack bottle holders that are debuting this month. Or if you really want to get him going, ask him about the state of brewing in the state of Alabama. After all, he is the President of the Alabama Brewers Guild. 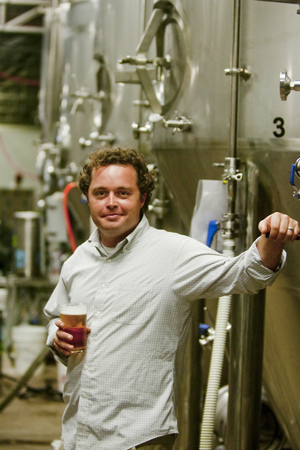 Wilson is also Founder and President of Back Forty Beer Company. We had the chance to tour around Gadsden and Birmingham recently, chew the fat and of course, drink the beer. The phrase Back Forty refers to the back forty acres of land. Typically this section is the farthest from the barn, the least desirable, the hardest to cultivate, and worth the least amount of money. Wilson told me it’s where tractors go to die. Growing up in Alabama, he thought that was the perception of the beer industry in the state. In May 2009, the Gourmet Beer Bill passed in the Alabama State Legislature and lifted the amount of alcohol by percentage from 6 to 13.9 percent. Free the Hops is a grassroots organization that worked all the way back from 2006 to get that limit bumped. In 2011, the Brewery Modification act was passed providing the ability to let breweries to have a tasting or tap room. Local level beer consumption is a commonplace occurrence in Europe and until prohibition was here in the U.S. as well. In 1873 there were 4,131 breweries in the United States. With the addition of refrigeration and increased ability to distribute, that number shrunk to 1,568 by 1910. In the U.S. today there are 2,822 (As of end of 2013 numbers). A lot of breweries, and most of them in the Birmingham area are just meant to be community breweries. Whether speaking to Harris Stewart at TrimTab Brewing Company, Ashley Smith at Cahaba Brewing, Taylor Lander at Avondale Brewing Co. or Ben Lewellyn at Good People Brewing Company, they all put the community first. None are really interested in selling their beer far and wide just, “You know, in the state and maybe a little around that.” They all have initiatives to give back to the community, bring the people of the area together and of course, drink beer. 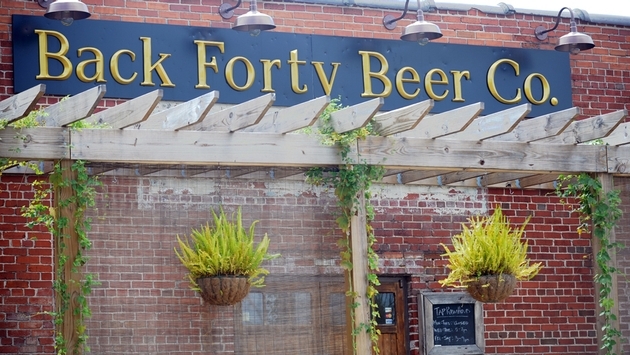 Back Forty Brewing Company is taking a different approach. “I have always wanted to show other people that Alabama has culture. 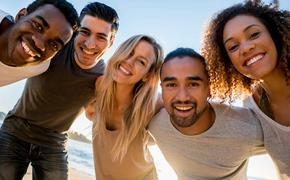 You always hear of the stereotypes and lack of culture in Alabama and I want to help combat that point of view. Bringing great craft beer to the table helps do that. Alabama has incredibly talented chefs and brewers and I want to show the world that.” Wilson is currently in five states and opening up two new markets with Washington D.C. and Nashville, Tennessee this month. When Wilson was first trying to get his beers into the restaurants of the South, he came up against what most beer peddlers do: Bar managers who are more into wine than beer and just don’t get the craft beer movement. After all, they didn’t have a lot to choose from up to that point. So Wilson, who had spent his fair share of time working in kitchens went in and talked to the chefs. This partnership with restaurants has been the bread and butter (pardon the pun) of new beer exposure as of late. And it doesn’t stop there. Wilson is brewing chef-specific beer for James Beard Award-winning chefs to use in their restaurants and kitchens. Speaking of James Beard, Back Forty was asked to brew a couple of beers for Chef Chris Hastings (Hot and Hot Fish Club) to accompany and cook with at the James Beard House and even got to autograph the Chef’s Coat just like the chefs who cook there do. He may be the only brewer to ever have signed it. Plus, Back Forty recently served their beer with Chef David Bancroft at this year’s PGA Champions Dinner as part of Jason Dufner’s Alabama Supper at Churchill Downs in Louisville. Take that, wine! Wilson is the President of the Alabama Brewers Guild and is responsible for all of his guild duties in addition to running his own brewery every day. He takes both roles extremely seriously. 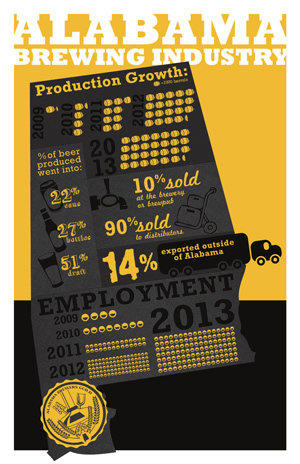 He speaks across the country telling his story and the story of the growth of Alabama craft beer. He monitors panels at conventions and booths at beer fests promoting not just his brewery, but that of all the breweries in the state. He also takes time to take journalists like me on a five-hour guided tour of Birmingham’s breweries, making introductions and great conversation along the way. His PR people (which Back Forty pays for) are constantly seeking ways to sell the entire state’s craft beer industry, not just at Back Forty. I didn’t get to the whole state during my trip. I still have to get up and see the guys at Straight to Ale Brewing and some of the others in Huntsville. I have yet to get to Black Warrior Brewing Company in Tuscaloosa as well as a slew more elsewhere. If the folks in Gadsden and Birmingham are any indication of what I will find on those trips, I can’t wait to make them. No matter where you go in Alabama, something is brewing. Go sample it, taste it, and drink it in.